A common criticism of 3D printing is that all it produces nothing but cheap plastic gimmicks that are of little practical use. While that criticism may not always be completely unfounded there is also more and more proof that 3D printing can be very useful indeed. 3D printed prosthetics or things like the 3D printed UAV are excellent examples of 3D printing being put to good use. Now, moving from downloading models from Thingiverse to designing your own CAD models comes with a steep learning curve. And while there is already a considerable amount of literature out there to help you with various CAD programs, a gap still exists when it comes to using CAD to specifically design for 3D printing. 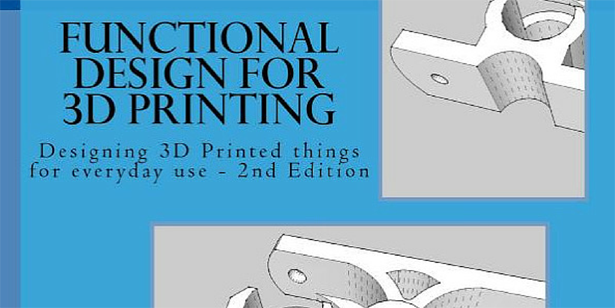 Author Clifford Smyth has written a book to do just that: Functional Design for 3D Printing is an engineering handbook aimed at helping readers 'design objects which print and function in everyday applications'. The book is geared towards owners of FFF 3D printers. As any owner of such a printer can attest to, the machines and software still come with some technical immaturities and it requires specific know-how to compensate for printer or slicer imperfections. 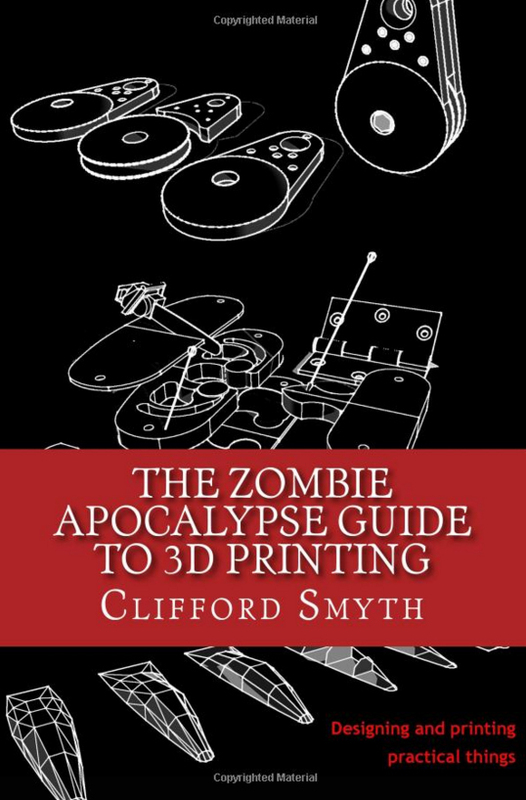 Smyth's book promises to fill exactly that gap by leveraging the strengths and minimizing the weaknesses of the 3D printing process. Chapter 1, Designing for Function is quite elaborate in touches on multiple aspects of designing for 3D printing. The chapter starts by exploring printability and the role of support structures. The author shows how to optimize support structures or even better, avoid them altogether. Smyth then goes on to explain how to design for usability by giving the 3D printed parts sufficient structural strength, the desired degree of permeability and how to choose the right material for the right application. Chapter 2, Designing for the FFM Process talks about 3D printer limitations when it comes to bridging and overhangs and how to avoid or at least minimize those. Chapter 2 also covers bed adhesion and gives the reader some tips on how to print parts that either have a small bed contact surface or are prone to thermal warping due to an elongated contact patch. In Chapter 3, Design Paradigms the author explores some of the common design archetypes such as the single, monolithic design. Using illustrations and practical examples, Smyth shows how a part can be decomposed into subcomponents thereby avoiding supports while speeding up the printing process and reducing filament consumption. The author also explains how such a modular design can help avoid some of the tensile strength weaknesses inherent to 3D prints and how to optimize the modular design for the subsequent assembly. Chapter 4, Fastening and Joinery, latches onto the previous chapter by delving into the design parameters required for fastening mechanisms such as screws and threads, dovetail joints, tab and slot systems as well as snap fittings. Chapter 5, Special Design Features, builds on the two previous chapters by looking into design features that add functionality to a printed part. Smyth explains how to design hinges as well as how to optimize the weight of a design through skeletonization or the inclusion of lightening holes. Chapter 5 also covers how to design intersections, ribs and bosses as well as how to incorporate the right corner radii and wall thickness transitions into 3D models. In Chapter 6, Designing for Fit, Smyth explains how to manage over-extrusion and overprinting at sharp corners, a common phenomenon with FFF 3D printers. Using a couple of case studies, the writer illustrates how to use dimensional gaps when designing joinery pieces or holes for fasteners, in order to ensure a perfect fit during assembly. Chapter 7, Designing for the Slicer, takes a closer look at key concepts around slicing and how the settings of a slicing engine can influence the quality of a 3D print. The chapter covers some of the most common slicer settings such as shells, walls and infills. The author also explains how voids or hollows must be connected through the outside wall of a design in order to make sure that they are properly recognized by the slicer. Functional Design for 3D Printing is not a book that teaches you about 3D printing. It is also not a book that teaches you CAD design. 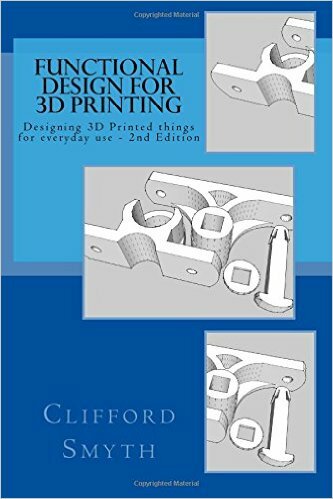 It is a book that teaches you the basic physical/mechanical principles underlying 3D printing that you should be familiar with when designing more engineered or advanced 3D parts. This book is not the easiest read if you have no engineering background or at least a basic understanding of concepts like tensile and compressive strength. 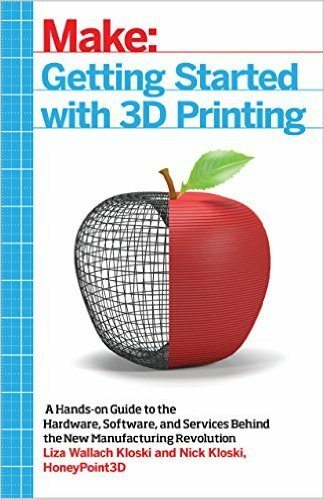 If you are still in the phase of your 3D printing journey where you print downloaded 3D models then this book is not for you. If you do however know your way around a CAD software and intend to use your 3D printer to produce functional designs then this book is filled with helpful hints and tips on how to optimize your design for production on a FFF 3D printer. If you are a novice CAD user with intentions of doing some serious designing and 3D printing then you should also consider buying this book as it will help you to avoid a lot of the common beginner mistakes. All in all, a recommended read for anyone who is looking to perfect their functional designs in order to get the most out of their 3D printer.